Every year there is plenty of drama and excitement in the automotive world as each brand tries to find a way to offer us what we want for the future. Many of the stories we see are part of the new models that are being built for the drive while others may have to be stories of struggles and triumph over a challenge or obstacle. With that in mind, take a look at these different stories that were part of this past year and see just how far we’ve come. New 2018 Jeep Wrangler JL Debuts with 3 Engine Options, Upscale Cabin – This story captured our attention all year long and was one of the most discussed topics as we looked to see what this classic model would become for the future of driving a Jeep Wrangler. Now that we’ve seen what it is, the Wrangler brings us more of what we want for the drive than ever before. 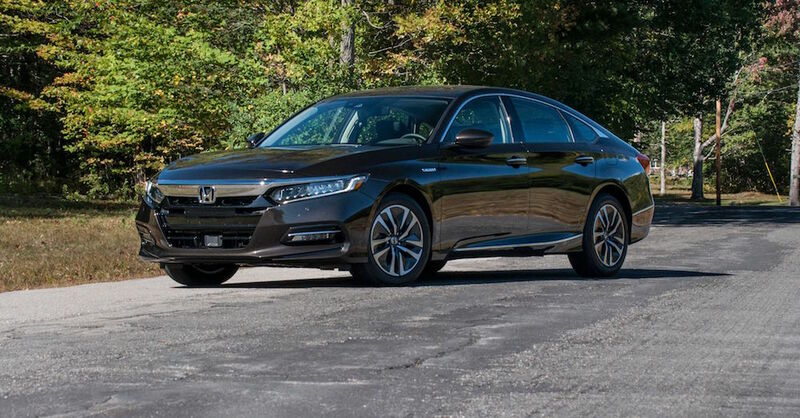 2018 Honda Accord Debuts with Turbo Engines, 10-Speed Transmission – As the tenth generation model arrives for the Honda Accord this impressive midsize sedan shows up with the engine choices we want and the new transmission that will allow the shifting needed to make this the right model for many who want to have a great drive on the road. 2018 Jeep Wrangler Interior Spied for First Time – Dominating the headlines was the Jeep Wrangler all year and when the wraps were finally off the interior to give us the look inside to have a peek at what we want to enjoy when we drive this impressive off-road model. This is a story that certainly captured our attention this year and let us sees what this Jeep had to offer. Ford is Being Sued by Shelby GT350 Mustang Owners – When the Shelby GT350 name is attached to a vehicle you expect it to be a model that can head out to the track right off the production line, which is what Ford marketed this car as being ready for. Unfortunately, one group of owners claimed this car wasn’t track ready at all and wanted restitution. The Simple Reason Why Mazda is Against Being Trendy – Even though Mazda has impressed us with their design and style of the cars they build, this is a brand that loves to do things their own way and trust the process and mindset they have for this brand. It seems Mazda is more interested in setting the bar high rather than being a brand that follows the trends. 2019 Ram 1500 Caught by Camera Without its Camo – No matter what the vehicle is, we love to see the future models that are coming and if we can do this without being stuck with the camo that tends to cover the models before they are brought to the show, we can enjoy learning more from the vehicle that we’ll get to see ahead of the actual launch. 2018 Ram 3500 Has the Most Torque Ever for a Pickup – This new and powerful truck that’s built for the work you want to get done will be offered with an amazing 930 lb.-ft. of torque, which certainly captured our attention. This is the perfect truck for those that need a massive truck for the work you’ll need to get done on a daily basis. Toyota Sedan Looks Straight Out of the ‘90s – But it’s Actually All New – This might have been a surprising story and one that you wouldn’t think would make the top ten, but it certainly garnered a ton of attention. It appears we’re interested in a large sedan that shows up with the look of a land yacht to give us something impressive to enjoy on the road. Photo of 2018 Jeep Wrangler JL Leaks Online – What do we want to see more than anything else this year? It was photos of what the new Jeep Wrangler would look like. Whether it was out of concern for the number of changes that would be made or to see how this new model would incorporate the classic look and build we’ve come to new we were interested. 3 Reasons Honda in Japan is Way Cooler – Sometimes it’s nice to learn that a brand we trust for some of the reliable and boring vehicles we drive on a daily basis, is also capable of incredible power and performance on the road. Honda has been a brand that shows off in Japan but not as much in other markets, making this the top story of the year.